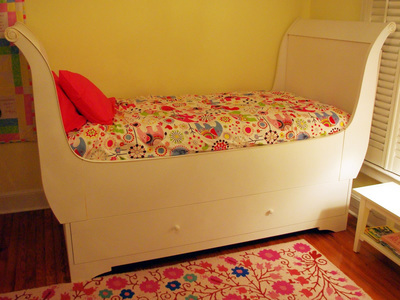 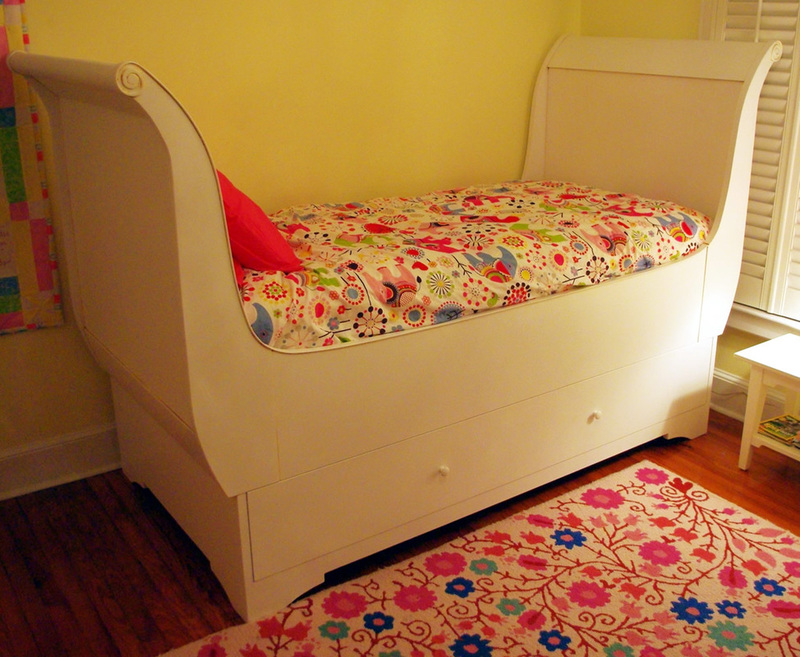 I designed and custom built this twin XL sleigh bed with trundle for my client’s young daughter to be used for generations. The bed is all solid wood with hand carved details, hand painted with a durable urethane enamel and lightly glazed to highlight the carvings as well as give the piece an antique look. The trundle drawer features 500 pound rated ball bearing slides to assure very smooth no maintenance use.